Today is such an exciting day! Today we celebrate this little fella and his first birthday! Eli is my best friend's, Kristin, little cup of sugar. Eli is roughly 4 months younger than EvaJean, and we hope that they will be lifelong friends! Right now they just tolerate one another! haha! Today, Eli officially turns one, and I have been so blessed to watch him grow this year. It is so hard to believe that a whole year has past! I remember the day he was born and finally meeting him in the hospital. The saying "Babies don't keep" is so true! It goes by so fast! 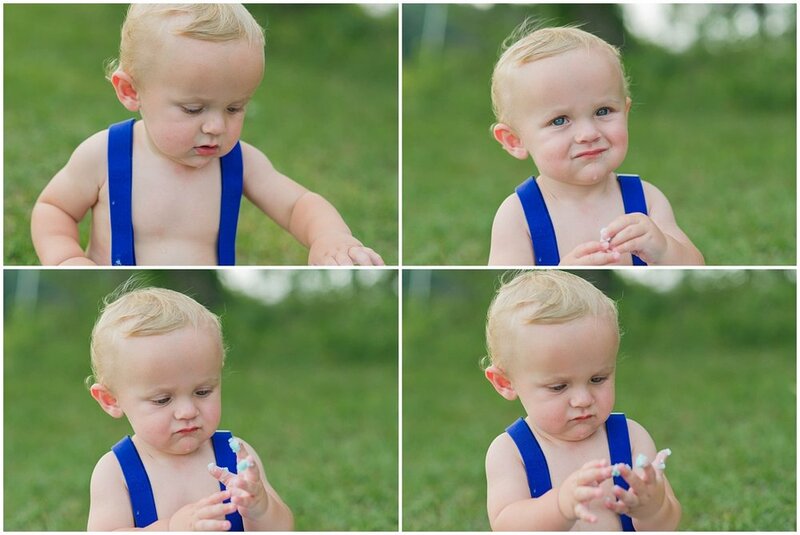 He is such a sweet, handsome baby boy and I am so excited to see him and EvaJean pal around and grow up together. Eli wasn't so sure about his photo session, but we eventually made our way outside, with his daddy, Evan, and he lit up like the sunshine. We now know that he prefers outside portraits for sure! 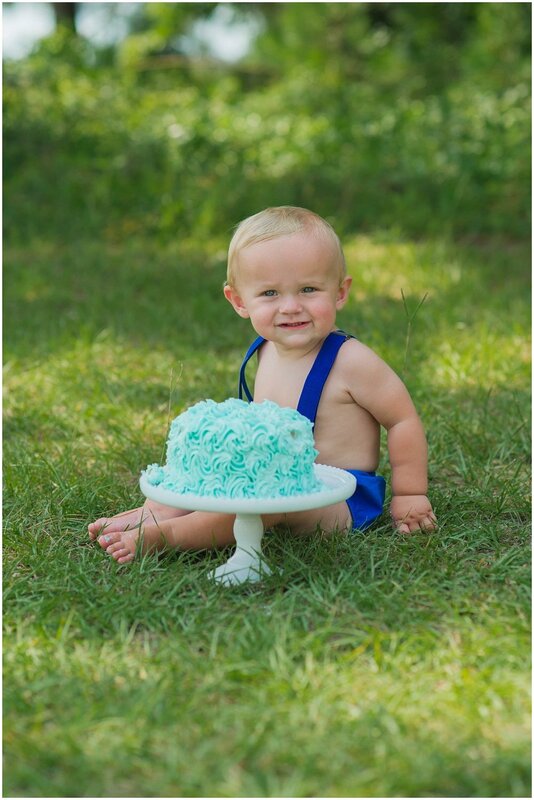 We can't wait to celebrate his birthday this afternoon at the lake! HAPPY BIRTHDAY, ELI!!! WE LOVE YOUUUUU! 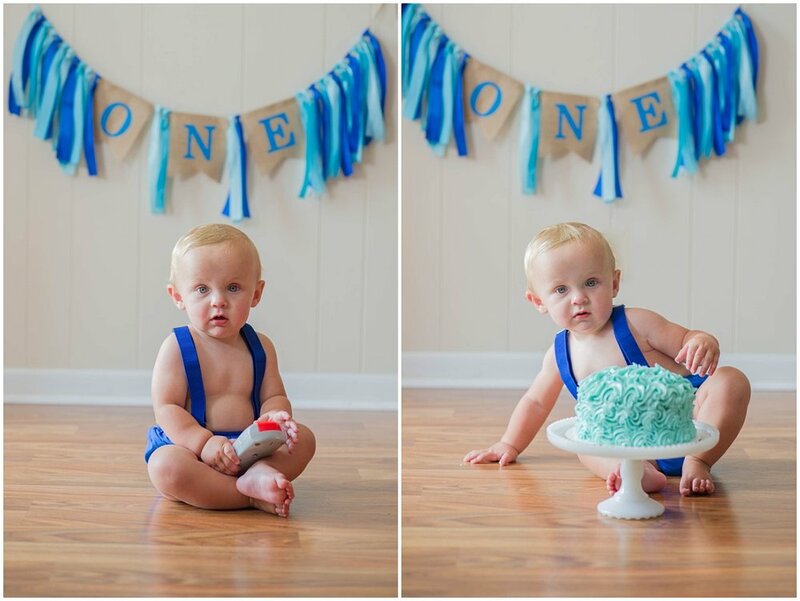 Leave Eli some happy birthday love below and check out his cake smash session portraits!